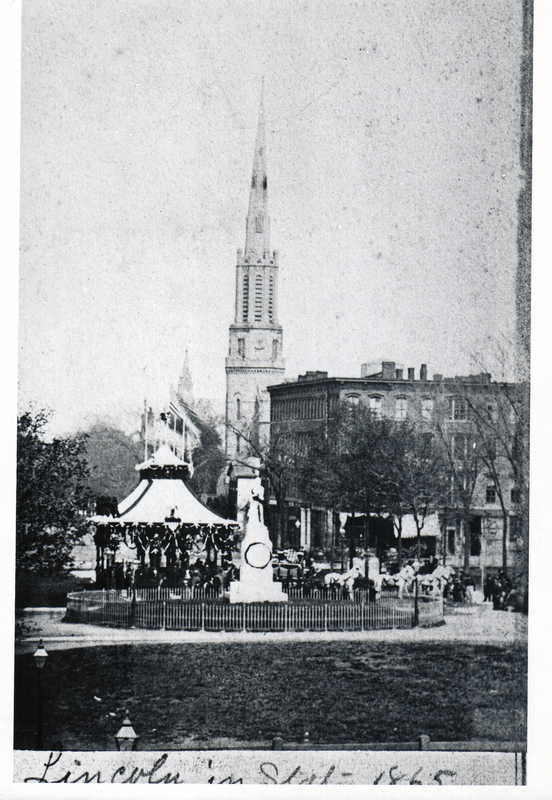 View of Lincoln's catafalque on displayed on Public Square in Cleveland, Ohio, on April 28, 1865. Immediately in front of the catafalque is the Perry Monument with the statue of Oliver Hazard Perry, a hero of the War of 1812. Until Lincoln's election and subsequent assassination, Perry was the ultimate American hero for the people of Cleveland, some of whom maybe have witnessed first hand Perry's victory over the British Navy on Lake Erie.